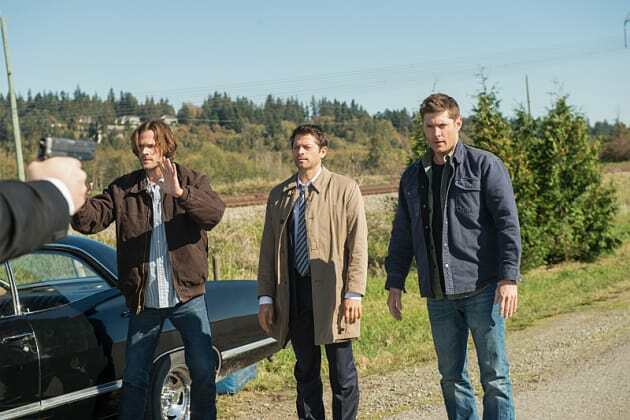 Someone has a gun pointed at Sam, Dean and Castiel. But why? They are the good guys! 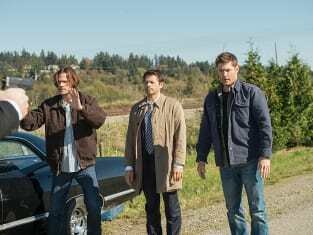 Supernatural Season 12 Episode 8: "LOTUS"
Kelly: Who are you people? Crowley: And I'm the King of Hell. Permalink: And I'm the King of Hell. Sam: Can we get the news without the drama? Crowley: Can I get you without the flannel? Permalink: Can I get you without the flannel? Supernatural Round Table: The End of Lucifer?